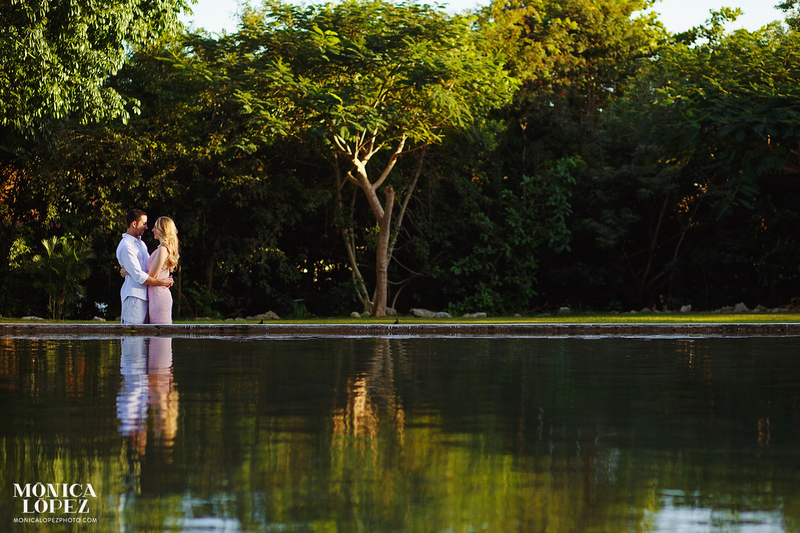 The Grand Velas Riviera Maya Resort reigns as one of the most jaw-dropping luxury resort in the Riviera Maya, making it, of course, an enviable photo shoot location. 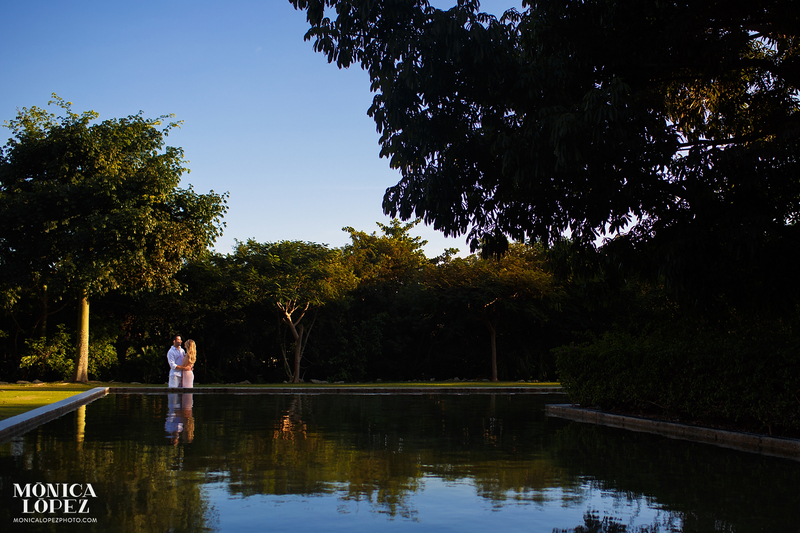 I was thrilled to have the chance to shoot there thanks to Mariana and Pedro, a gorgeous couple who invited me to take their Grand Velas Riviera Maya honeymoon portraits by the pools and beach of the hotel, located just five minutes north of Playa del Carmen. The resort’s tropical and contemporary architectural elements provided unbelievable photo shoot backdrops, frequently drawing us away from the beach and into the hotel’s other areas of interest. 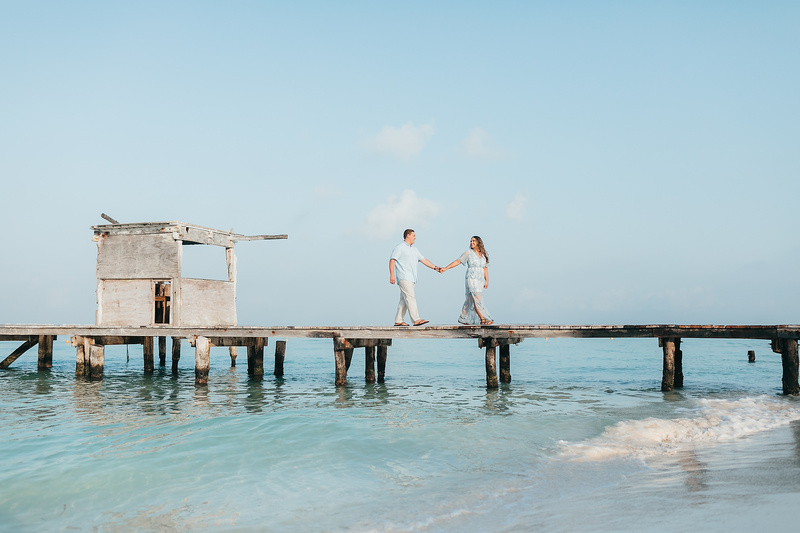 Mariana and Pedro weren’t afraid to explore a bit, and the scenery gave us some gorgeous pictures so they can remember their Riviera Maya honeymoon for always. 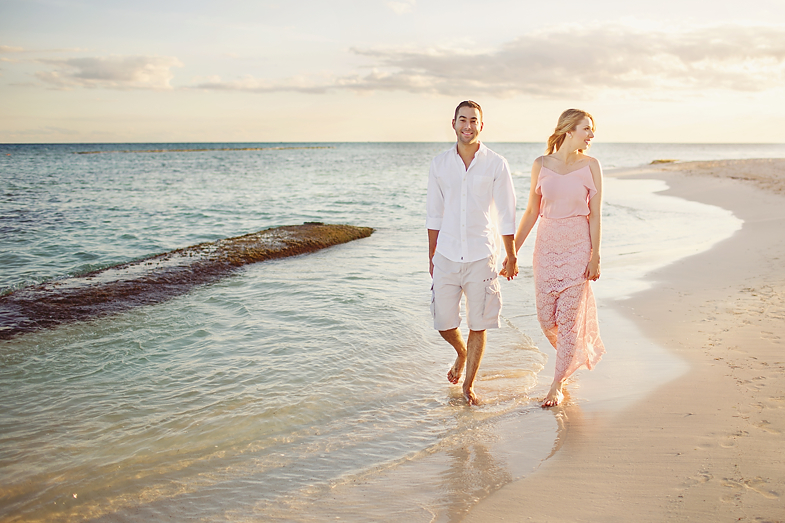 Mariana was glowing the early evening light in a soft pink dress, and Pedro’s simple white collared shirt went perfectly with the Caribbean Sea background. 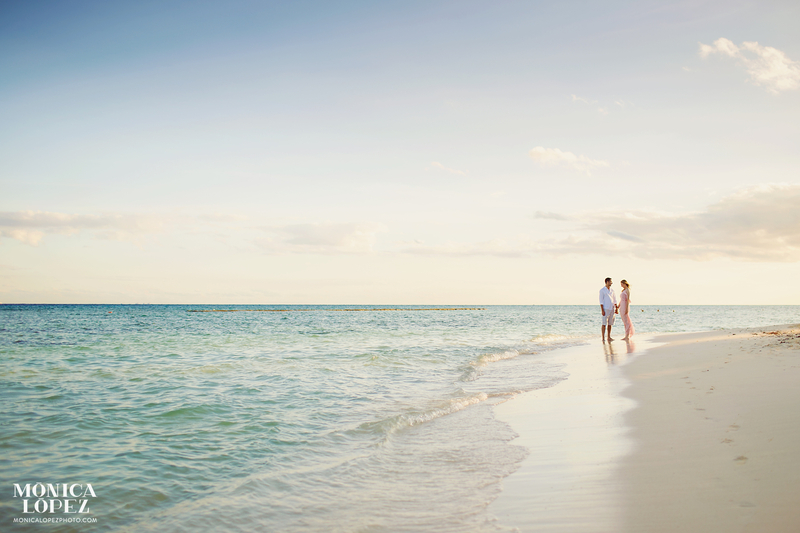 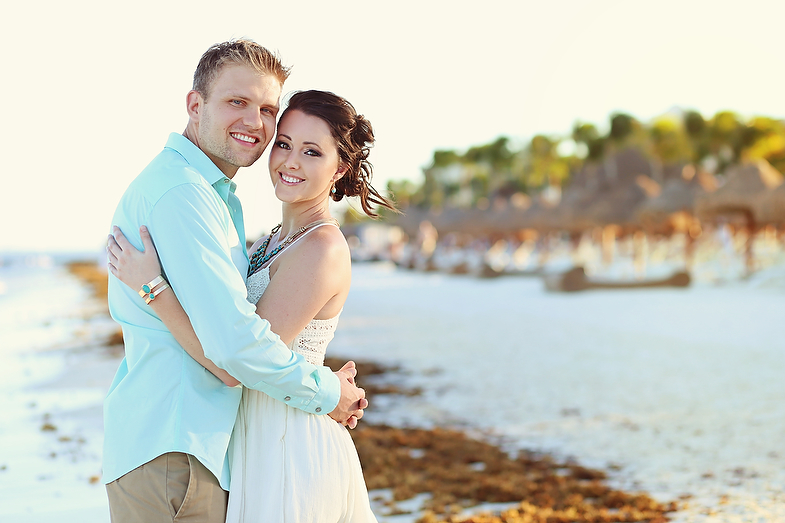 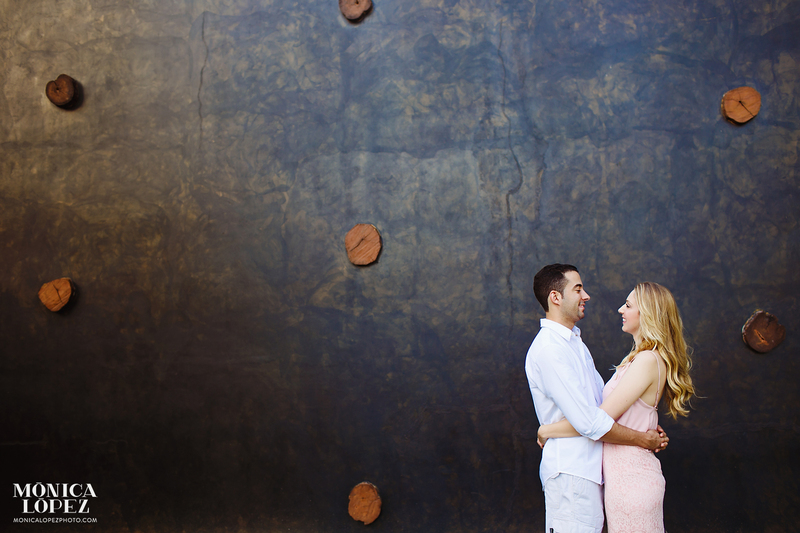 The sea birds even came out to play in this Riviera Maya honeymoon portrait shoot! 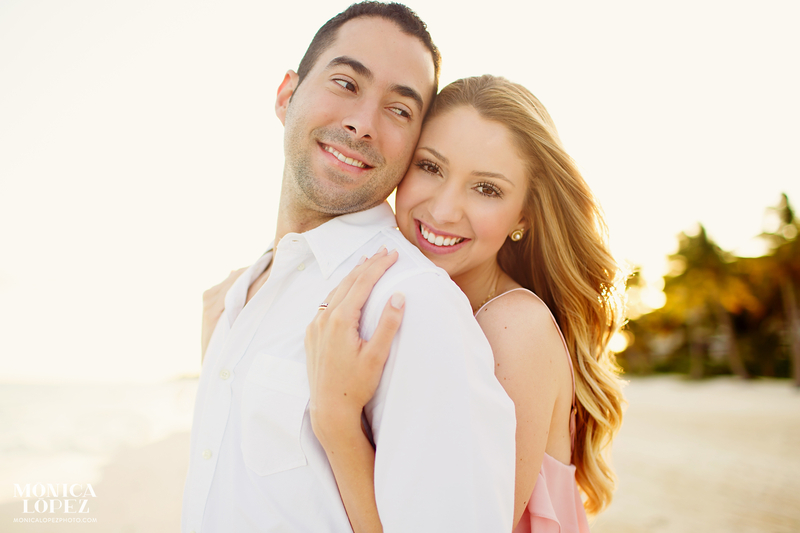 Thank you to Mariana and Pedro for letting me help you to create some memories for your honeymoon! 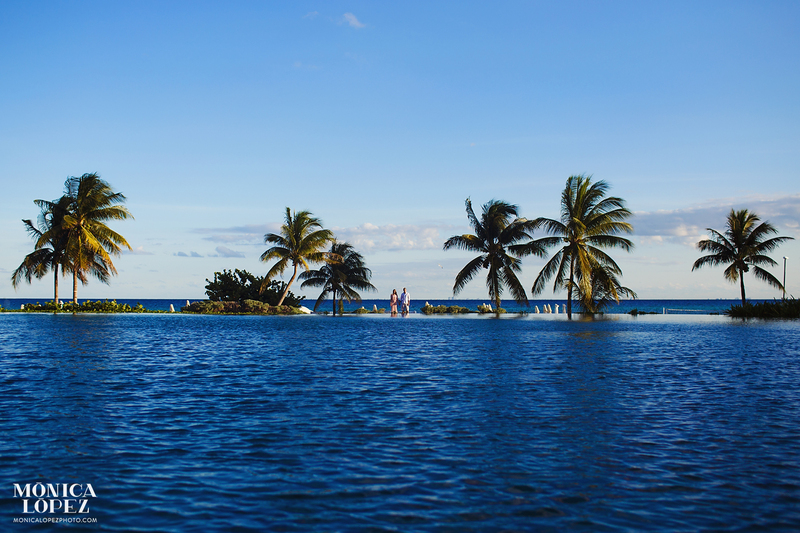 The Grand Velas Resort now sits near the top of my list for awe-inspiring Riviera Maya photo shoot locations.